1. Remove the inner door panel. Open the dishwasher door fully. Then remove all of the screws around the interior perimeter of the door. Hold down the outer door as you lift up on the inner door. Start by prying up the inner door from the top and then lift it completely free. Set it on the countertop or a flat work surface. The outer door will try to spring closed as soon as the inner door panel is gone, so find a relatively lightweight that can hold it in place. 2. Remove the actuator spring. Locate the rectangular shield covering the dispenser assembly on the back of the inner door panel. Pull the shield off and set it aside. Next, locate the actuator spring. Unhook it from the rinse aid dispenser and then from the other side. You can do this by hand or with a flathead screwdriver. Hook the new spring onto the actuator and then stretch the spring over the rinse aid dispenser’s plastic hook. 3. Reassemble the dishwasher door. First, add the cover back over the dispenser assembly. Make sure the pins in the cover line up with the holes in the door for a secure hold. Next, flip the door panel over and set the bottom edge into the lip inside the tub of the dishwasher. Carefully tilt the inner door panel down until it’s flush with the outer door, and make sure the weight is out of the way. Press both door panels together and secure them by rethreading the screws along the interior edge of the inner door panel. Then shut the door and plug the dishwasher back in. 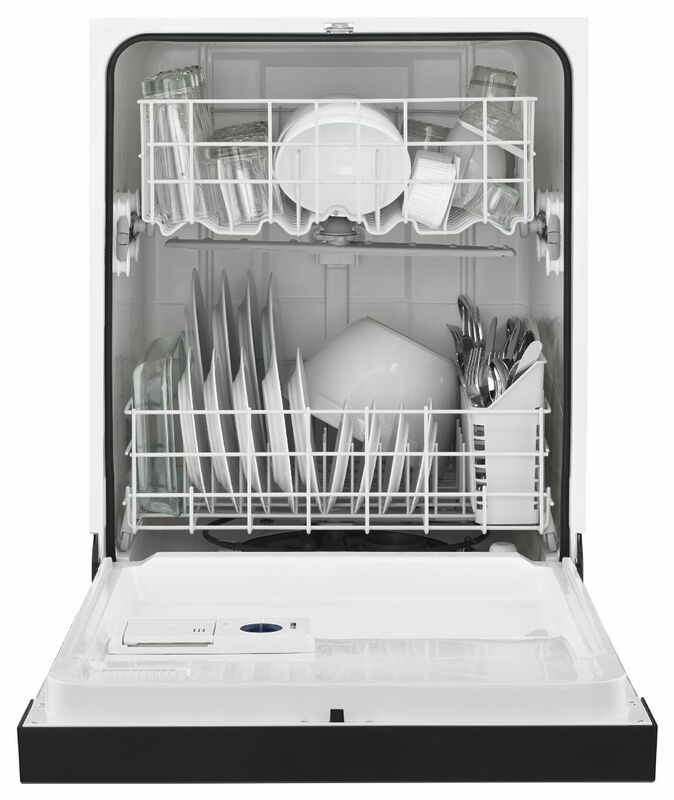 Go to A to Z Appliance Repair for more tips to repair your dishwasher and other appliances.